I started this drawing last week just for fun, and because red foxes are very cute. 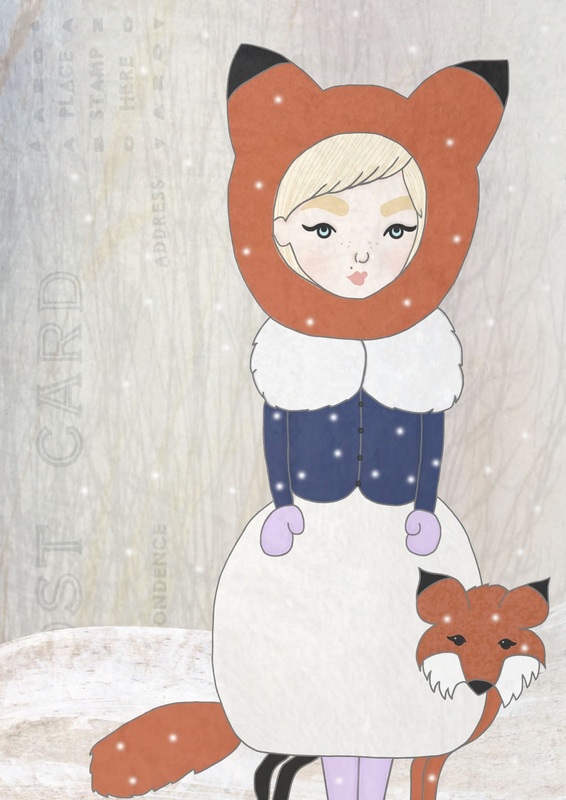 Afterwards when I was looking for new books for my Kindle, I found out that there was a novel called The Snow Child and that the concept of the book perfectly coincided with my illustration! I've since downloaded the novel but I haven't had a chance to read it yet. Have you guys read any interesting books lately? Thats such a cute illustration. I really like the fox, so cute! Love it! Can I have her hat?? Oh my goodness you're talented! Your creations are so ridiculously adorable.